This part also appears in Brown, but is not listed in any sets. 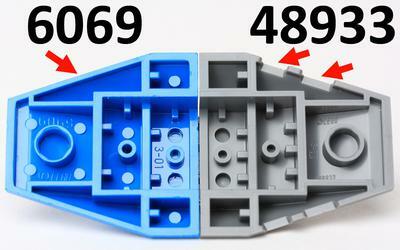 Click on a colored part below to see the Sets and MOCs that use part 48933 Wedge 4 x 4 Triple with Stud Notches in that color. You can find an overview of all LEGO Colors here.